A special dual showing--sit down and watch on the roof or dance the night away in the screening room! Come early and stake your claim, or move between the two spaces throughout the night. Thirteen Sundays (and one Wednesday! ), summer through fall, featuring well-loved classics, beneath the stars and above the streets of Iowa City. You never know what we’ll add to each screening to butter up your Rooftop experience. Join us for these very fun, special shows, and buy tickets early as seating is limited, and Rooftop shows do sell out! Doors open with seating and pre-show fun at 8pm. Screening at dusk. In the case of inclement weather, the screening will occur indoors. 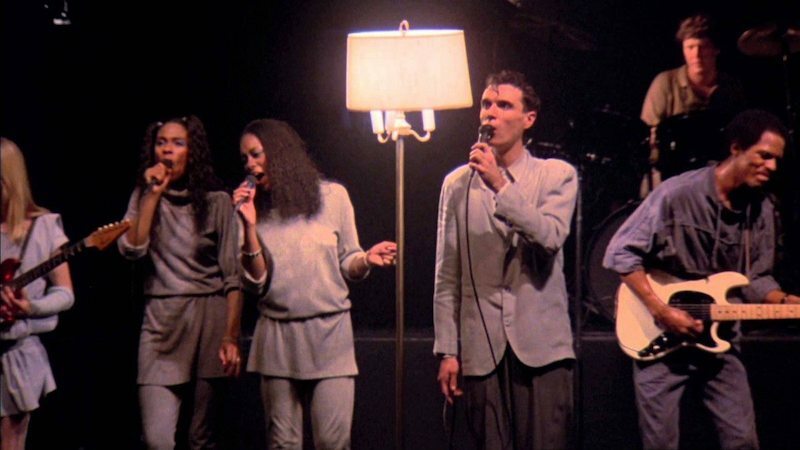 Join us as we honor the late, great director Jonathan Demme by giving the big-screen, loud-sound rooftop treatment to one of the greatest concert films of all-time. Dancing encouraged!